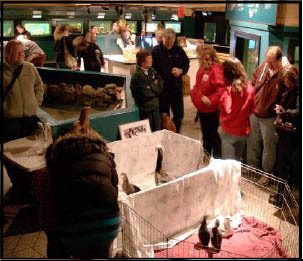 On March 1, 2009 the Aquarium held an open house benefiting the Friends of Haystack Rock and the Wildlife Center of the North Coast. Admission was free, but visitors were invited to donate to the Friends of Haystack Rock, a nonprofit organization that supports Cannon Beach�s Haystack Rock Awareness Program. Seal food sales were given to the Wildlife Center of the North Coast, who rehabilitates injured native animals found in the area. More than 1,000 visitors attended the open house. 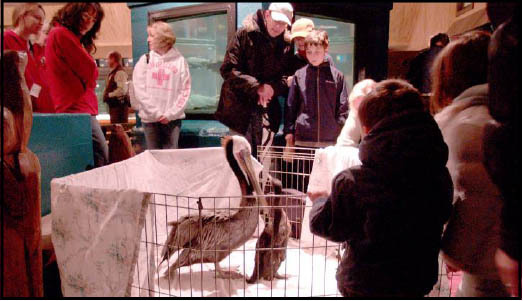 Sharnelle Fee, Director of the Wildlife Center of the North Coast, brought a variety of rehabilitated birds for visitors to view. Volunteers from the Friends of Haystack Rock shared information about tidepool life and the Haystack Rock Awareness Program, now in its 26th year. 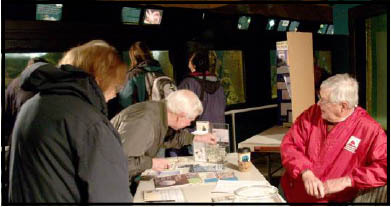 Visitors were also able to enter free drawings and view regular aquarium displays. The open house raised $700 for the Friends of Haystack Rock and $500 for the Wildlife Center of the North Coast. Well-meaning people sometimes think that a baby seal alone on the beach has been abandoned, but this is not the case. 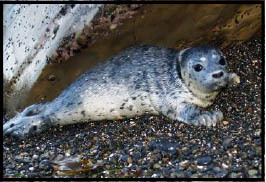 If moved, the seal pup has no chance of reuniting with its mother. with the new Aquarium Cam! 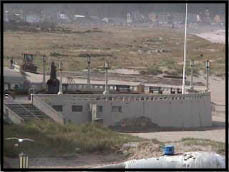 We have recently partnered with the Seaside Chamber of Commerce to put a web cam on the roof of the Seaside Aquarium. Visit our website at www.seasideaquarium.com and you can control the view of the aquarium cam. Visitors to the website are allowed control of the camera in 2 minute increments, so you may need to wait, but not for long! Once you are in control of the camera, you can choose a variety of pre-focused sites by using a drop-down menu or you can aim the camera yourself. The camera can look up or down the beach, zoom, and even take photos. Want to know the weather in Seaside or see the mouth of the Necanicum? Check it out!